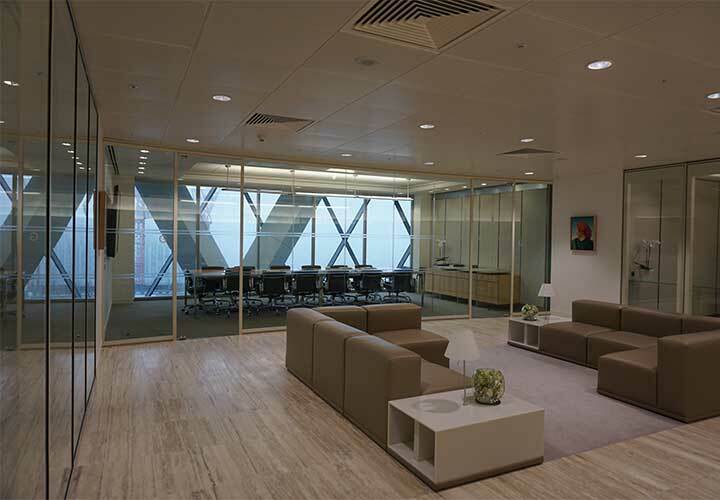 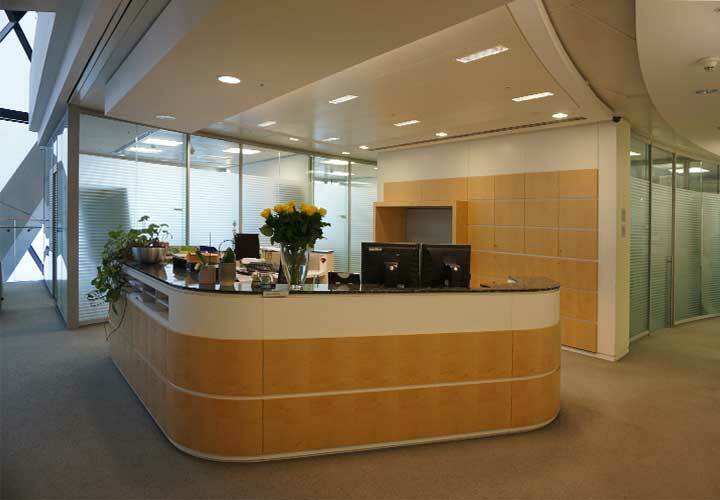 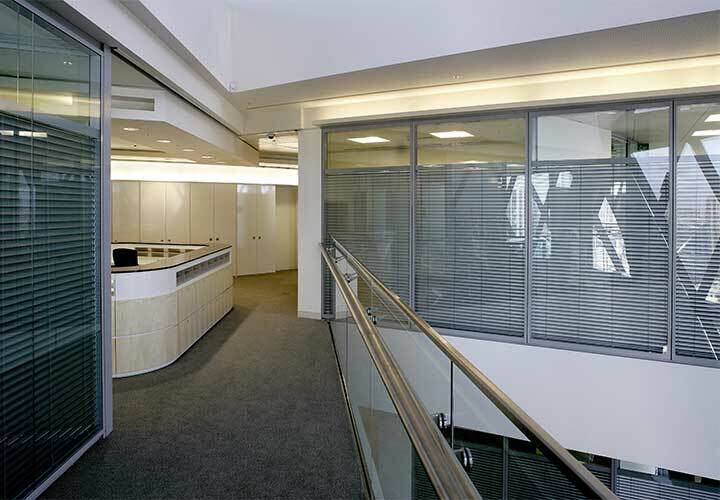 Extensive refurbishment of existing floors and amalgamation of new floors for enlarged corporate offices in the City of London. 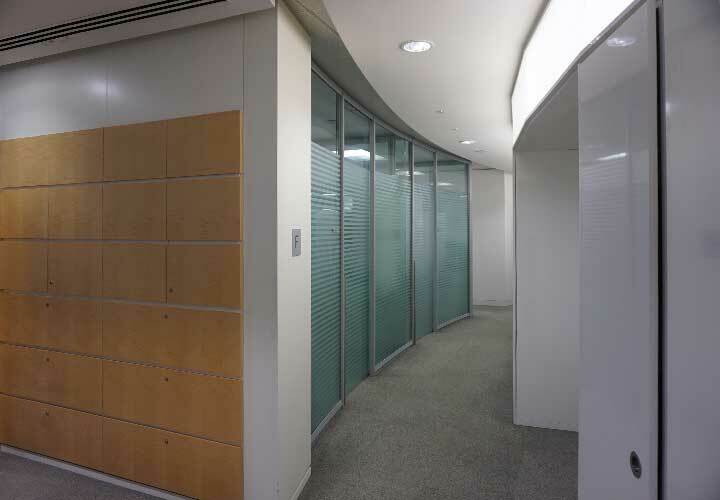 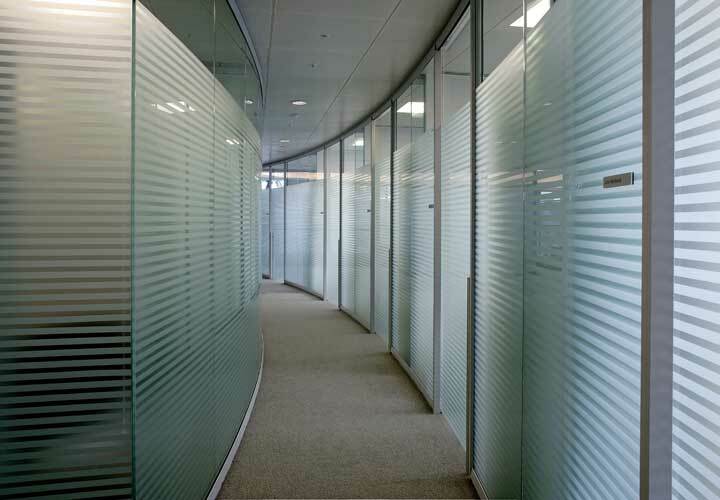 Office fronts layout in 3 concentric rings of different radii as the building tapers towards the top involving curved glass to suit. 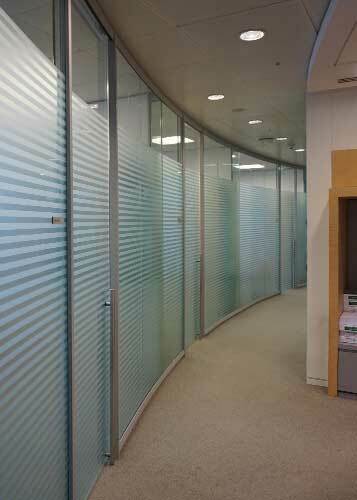 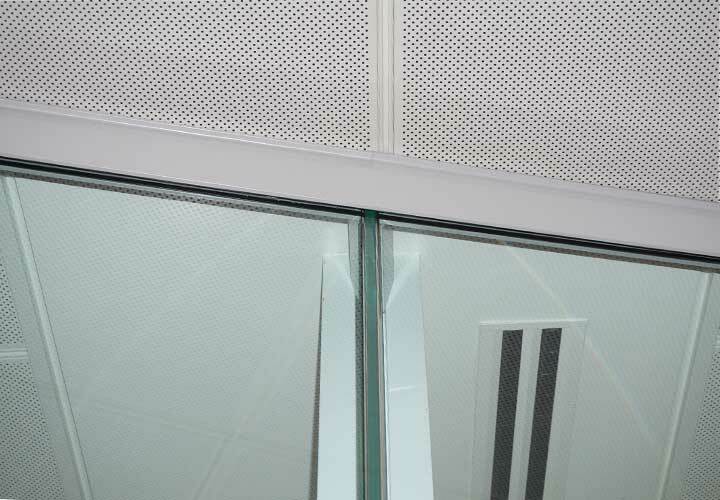 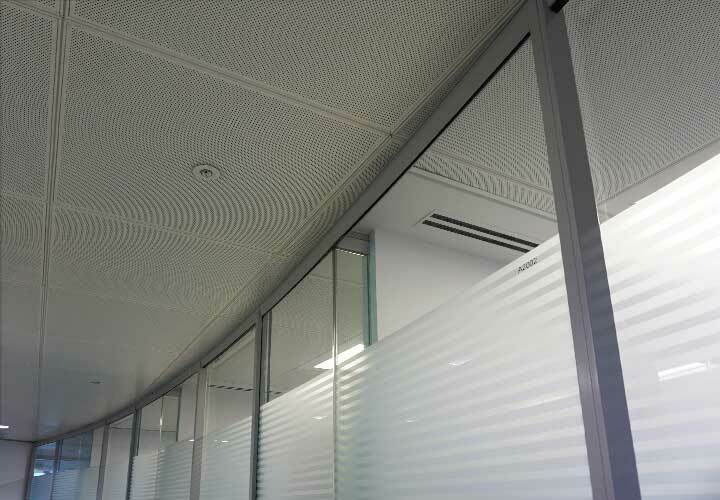 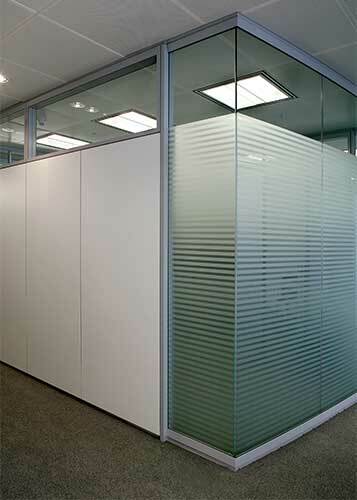 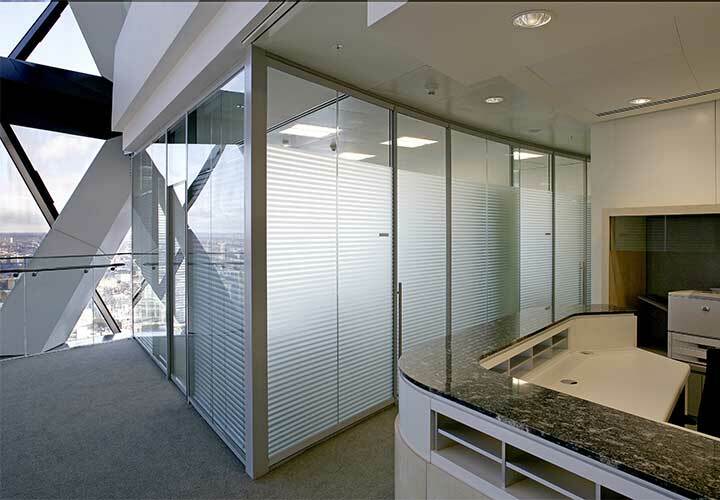 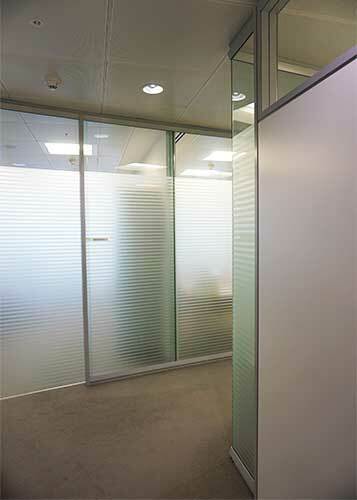 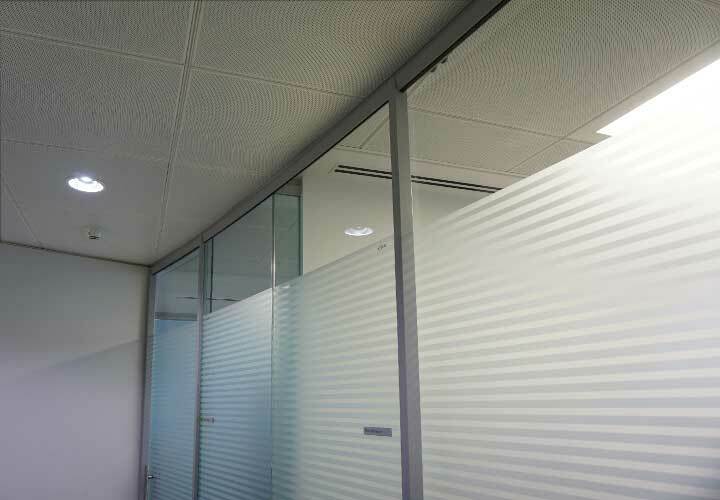 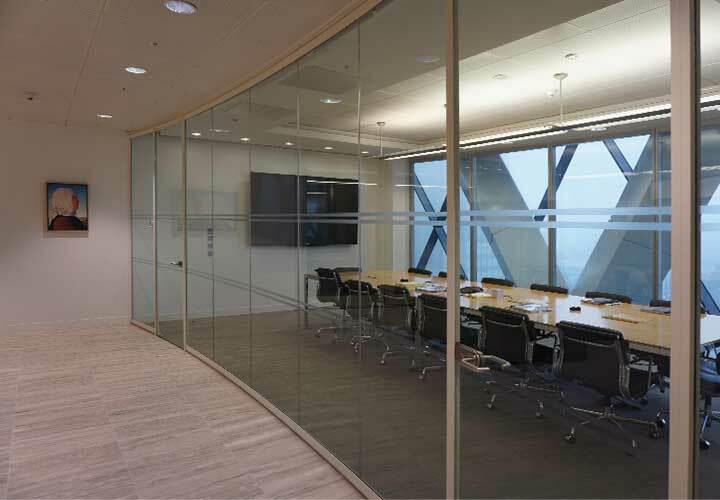 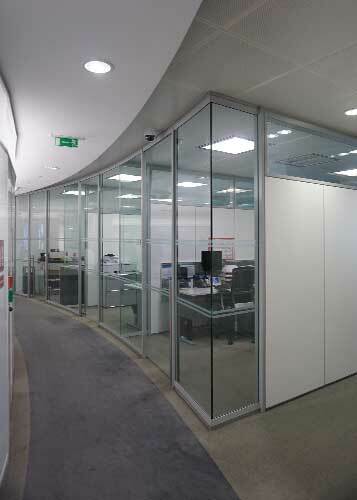 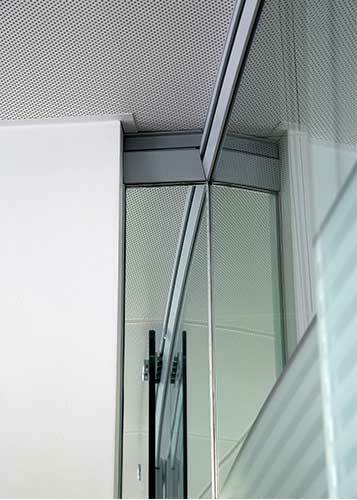 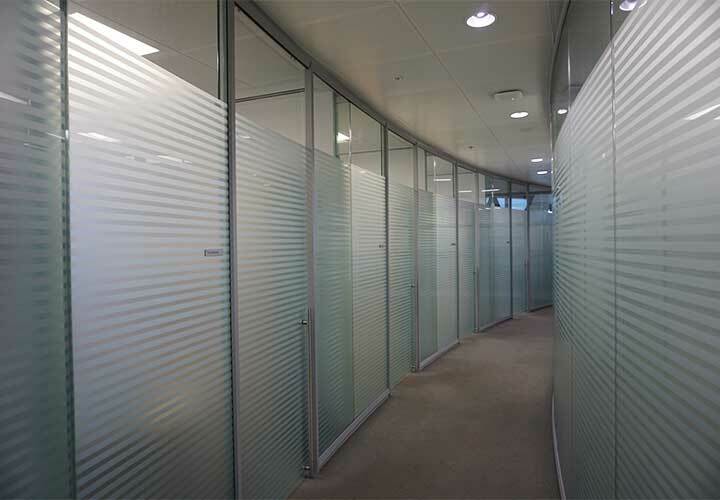 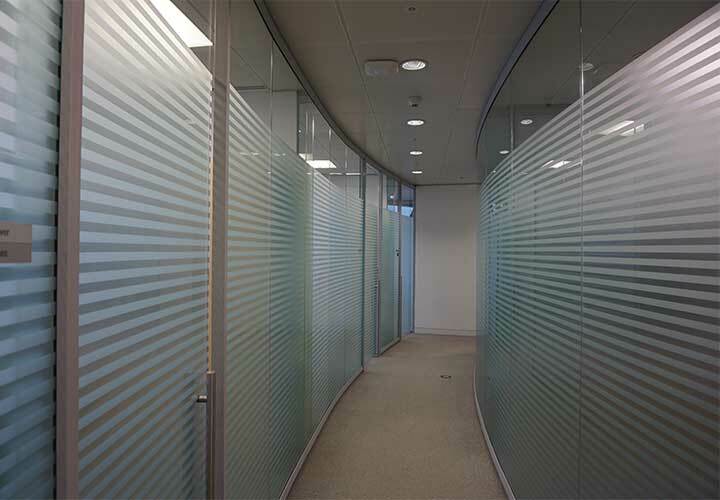 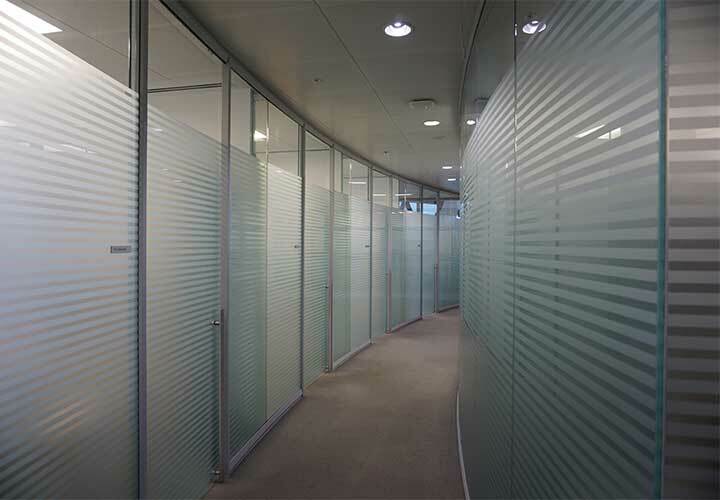 The glass fronts are provided with a curved glass sliding door and are linked with an acoustic glass fin to connect to the drywall. 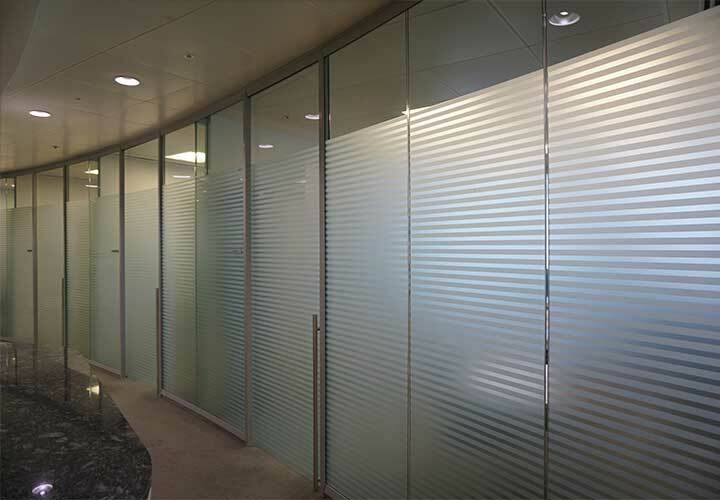 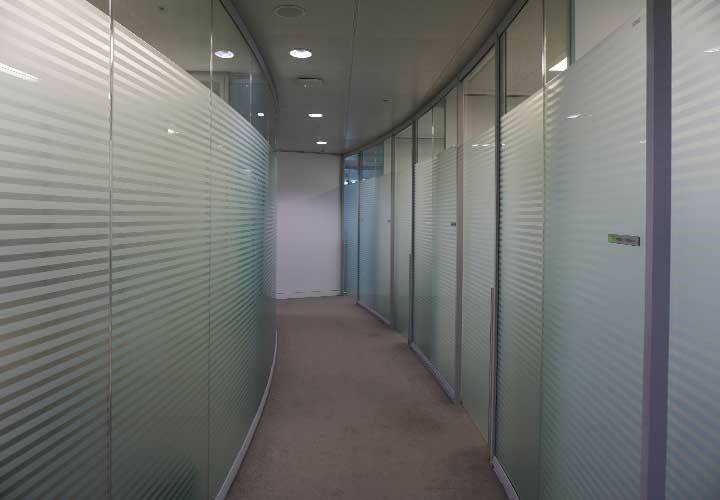 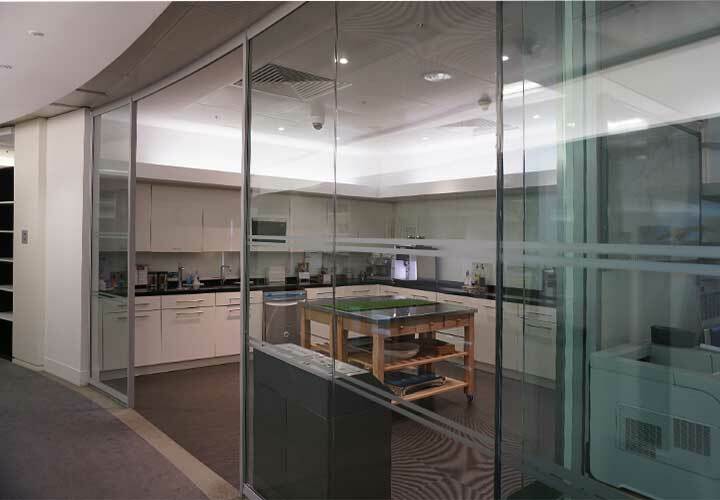 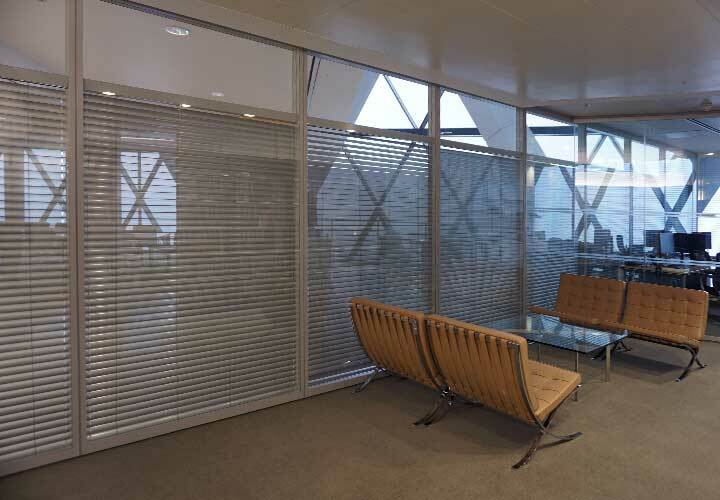 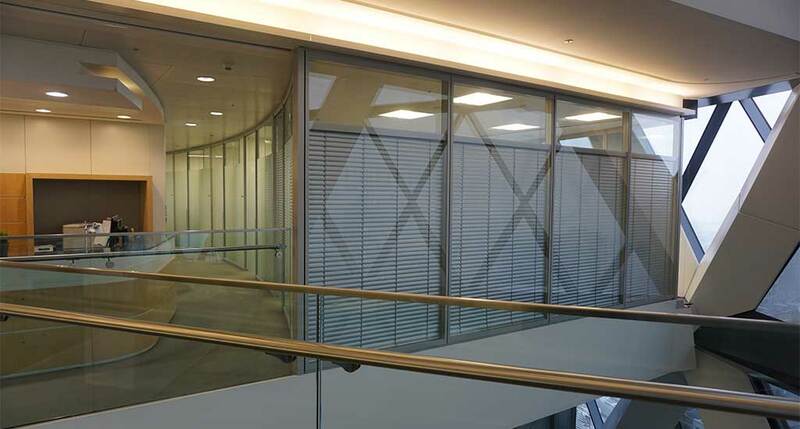 The refurbishment offered the opportunity to re-use all the original glazing materials and were integrated successfully with the new requirements with identical finish and specification for a uniform seamless effect.